Varsity Driving Academy is proud to be part of the Ladera Ranch community. As the #1 driving school in Ladera Ranch we aim to provide a safe learning environment for all of our students. We also make sure we teach safe driving practices in the form of defensive driving to keep our roads and drivers safe. 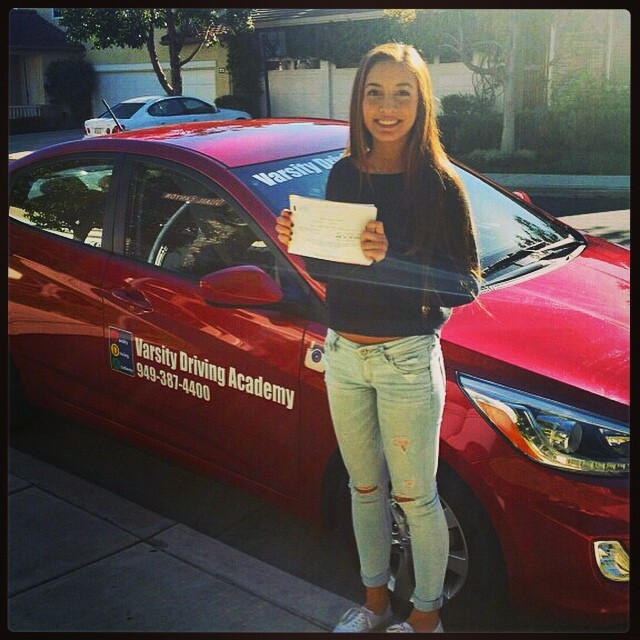 Welcome to Varsity Driving Academy Ladera Ranch! In Ladera Ranch we offer free pick-up and drop-off for behind the wheel training sessions. Pick up and drop off service available to all of our Ladera Ranch students. Our DMV package even takes it a step further, check below for more information. We find that by offering online courses, students can feel comfortable learning at their own pace. Each student who selects the online route will still get the 30-hours of learning required by the DMV. However, those 30-hours are done at the convenience of the student themselves. While some students prefer online, others prefer classroom learning. For those students, we offer classroom sessions during the summer months. We have three separate sessions that are taught by our certified and well trained instructors. We are so confident in both our online and classroom learning sessions that we know it’s time to congratulate you on getting your permit. While we can celebrate, its also time to start the next step, behind-the-wheel training. Our instructors will pick you up and drop you off before and after each session. The sessions that are mandatory are 2-hours long for a total of 6-hours. If you feel you need more time, we have options available. Our DMV package offers a little extra for each student who chooses to take advantage of the package. We will call and schedule your appointment at the DMV, we can pick you up and take you to your drivers test. Even more, we will allow you to use the same car we’ve been training you in for your test at the DMV. It’s truly our way of being there for you from the start, until your license is in your hands. If you have any questions about our DMV package or any of our services, feel free to contact us (949)-387-4400. Varsity Driving Academy is dedicated to not only teaching you how to drive safely, but how to pass your license test.